May people have questions when they receive a ticket in from a police officer or in the mail. The first question usually is how can the ticket be taken care of. When tickets are issued the officer will indicate the “Type” of ticket issued ( usually in the middle portion of the ticket). The choices under “Type” include the following “C/I” (civil infraction); “Misd” (misdemeanor); “Fel” (felony); “Warn” (warning); “Fug” (fugitive); and “Waiv” (Waivable). “C/I” (civil infraction) can be handled by either paying the ticket before the appearance date that is indicated on the ticket. The person issued the ticket has the opinion to challenge the ticket at a hearing. Many people who receive moving violations (for example: speeding; disobey traffic control device, etc.) choose to challenge the ticket to try and avoid points and to try and avoid having the ticket appear on the person’s driving record. The person issued the ticket can elect to schedule a formal or informal hearing with the court. Formal hearings often occur when the person issued the ticket hires a lawyer to contest the ticket (which is often a smart decision). At a formal hearing the ticket can either be contested in front of the Judge or the parties reach a resolution of the ticket (which on many occasions involves a reduction). Informal hearings involve only the person issued the ticket, the police officer who issued the ticket, and a magistrate. Informal hearings often place the person who was issued the ticket at a disadvantage because the magistrate likely has a regular familiar relationship with the police officer, the person issued the ticket more likely than not has no relationship with the court, and the District Court relies upon the money it collects from tickets as part of its operating budget. Hence, the chance of prevailing at a informal hearing in many courts is low. Driving while license suspended, revoked, or denied (also called DWLS or DWLS/R/D) is a criminal offense that is treated seriously by many courts. This offense can be prosecuted under State law by a county prosecutor or under local ordinance by a city attorney. The possible penalty for a first offense DWLS, or a DWLS prosecuted under a local ordinance, is up to 93 days in jail, a fine of up to $500, court costs, possible probation with conditions (driver safety class, community service, no driving without a valid license, etc. ), 2 points added to driving record, a driver responsibility fee of $500 for 2 consecutive years, and a mandatory suspension of driving privileges. DWLS prosecuted as a second offense carries up to 1 year in jail, a fine of up to $1,000, court costs, possible probation with conditions, 2 points added to driving record, and a driver’s responsibility fee of $500 for 2 consecutive years. Additional DWLS offenses can lead to license plate confiscation and vehicle immobilization. The philosophy that many Courts employ is to try and encourage Defendants to find ways to obtain a valid driver’s license. In some cases this is possible (if the DWLS conviction is not entered) by paying off outstanding tickets, paying reinstatement fees, and going to the Michigan Secretary of State office. However, in many cases it is impossible for the Defendant to obtain a valid license in a timely manner. Reasons for this include that the person’s license was revoked due to prior drinking an driving convictions, the length of the person’s current suspension does not allow for the person to get their license back in the near future, the person has health or vision issues that prevent the Secretary of State from issuing a valid license, financial issues, or the person is not a citizen or a green card holder and the State of Michigan will not issue a valid license. One of the problems with Michigan are the cost and limited options for public transportation. In most cases driving is the only solution for a person to be employed, support their family, and otherwise get to and from different locations. Judges are by and large not sympathetic to this. 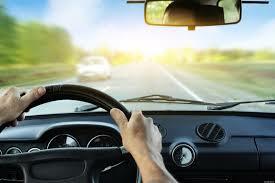 For persons with bad driving records, or with a history of DWLS, jail is often ordered along with probation. For persons without bad driving records, probation is common. However, a common condition of probation is to not violate any laws, which includes not driving a car without obtaining a valid license. The person is placed in a catch-22 situation. Below is a list of traffic tickets which need to be addressed at the 52/1 District Court in Troy, Michigan when the traffic offense occurs in one of the following communities: Troy, Clawson. The Judges currently serving the 52/4 District Court are the Honorable Maureen McGinnis and the Honorable Kirsten Nielsen Hartig. Misdemeanor traffic tickets require the individual cited to appear in court to address the matter. Civil infractions can be either contested in court (if the individual makes a timely request) or payment can be made in person, by mail, or online to satisfy the ticket. The fines listed below are subject to change. Misdemeanor traffic offenses also carry a potential penalty that may include the following depending upon the offense: jail time, probation with conditions, fines, costs, restitution, driver’s responsibility fees, and driver’s license sanctions. Failure to appear or pay tickets on a timely basis can result in a bench warrant for the individual’s arrest, additional fines and costs, and suspension of driving privileges. If you receive a misdemeanor traffic ticket, or wish to contest a civil infraction, you should hire an experienced local attorney, such as the attorneys at Hilf & Hilf, PLC. Below is a list of traffic tickets which need to be addressed at the 52/2 District Court in Clarkson, Michigan when the traffic offense occurs in one of the following communities: Brandon Township; Holly Township; Groveland Township; Independence Township; Rose Township; Springfield Township; White Lake Township; Clarkson; Village of Holly; Village of Ortonville. The 52/2 District Court is located at 5850 Lorac in the city of Clarkston, Michigan 48346. The Judges currently serving the 52/4 District Court are the Honorable Joseph G. Fabrizio and the Honorable Kelley Kostin. 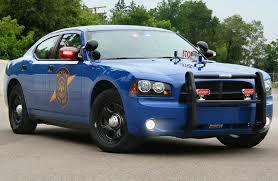 Below is a list of traffic tickets which need to be addressed at the 52/1 District Court in Novi, Michigan when the traffic offense occurs in one of the following communities: Commerce Township; Highland Township; Lyon Township; Milford Township; Novi; Novi Township; South Lyon; Village of Milford; Village of Wolverine Lake; Walled Lake; Wixom. The 52/1 District Court is located at 48150 Grand River Avenue in the city of Novi, Michigan. The Judges currently serving the 52/4 District Court are the Honorable Robert Bondy, the Honorable Travis Reeds, and the Honorable David Law.